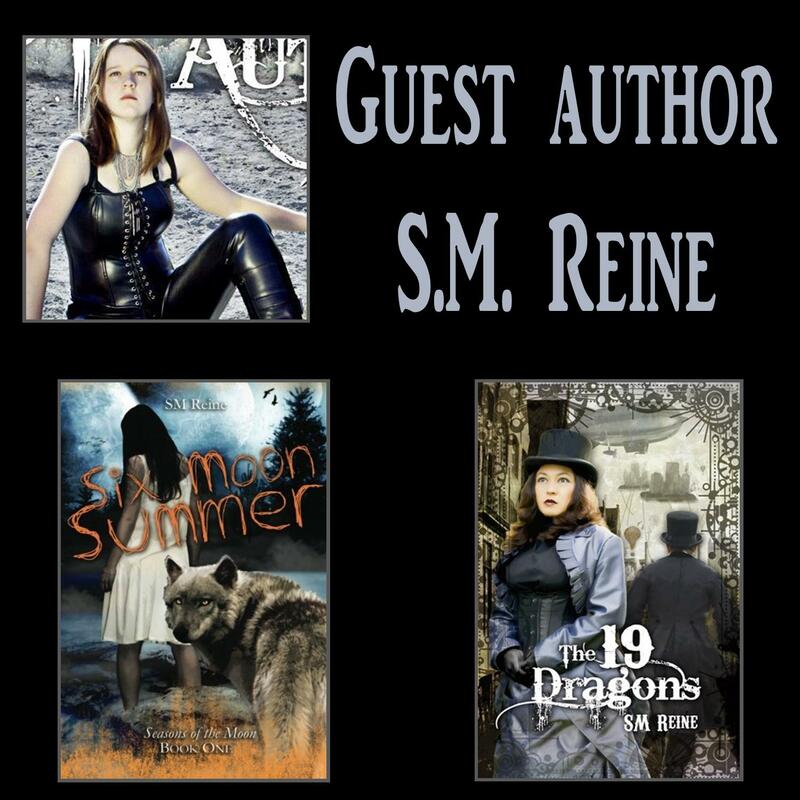 Please welcome today's guest author S.M. Reine! S.M. is the author of Six Moon Summer and The 19 Dragons. SM: The first thing I ever wrote was a story called "BATS!!!!!" (with a few more exclamation marks) on an Apple IIc+. I was so young that I couldn't actually read, so I think I forced my poor, suffering mother to transcribe it for me. It wasn't that bad as far as stories by sugar-spazzed children go. It had a dilemma (she got a bat for her birthday and it escaped!) and there was drama (it flew around and got stuck in her hair!) but no real conclusion. That was my real peak as a writer. It doesn't get any better than bats. SM: An early love of science fiction and fantasy like Star Trek, Quantum Leap, and too many comic books. It never occurred to me there might be stories to tell about real life. Boring! I started writing plays about mutants in kindergarten, dragons in elementary school, vampires and demons in middle school, and never made my way into reality after that. SM: I would be invulnerable. Immortality is overrated -- who wants to outlive their family? -- but invulnerability would give me the freedom to live my limited years without fear. Think of what you could do if you knew nothing would harm you! Of course, I would probably still spend all my time writing, but I would be liberated from the terror of paper cuts. 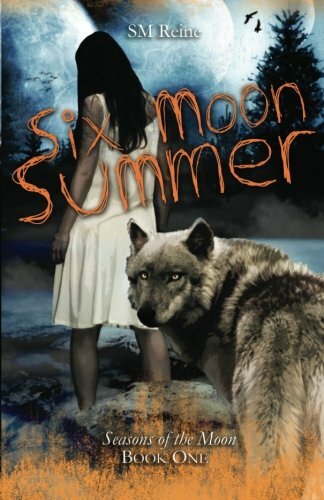 SM: Six Moon Summer is a unique look at werewolves that brings the element of horror back into the genre. The hero is also super cute, which never hurts! But the romance is really a minor subplot, and everyone seems to be enjoying it so far. There's something for everyone: mystery, violence, romance, action, you name it. SM: That's a really good question! I haven't thought about it before. My first reaction is to say that Evanna Lynch would make a fantastic Rylie and that Cam Gigandet could be Jericho, but casting Seth is much too hard. Rylie's parents force her to attend summer camp, but she's just as miserable at the girls' camp as she was at home-- there's nothing vegetarian for her to eat at the mess hall, she hates hiking and archery, and the other campers taunt Rylie mercilessly. One night, the bullying goes too far, and Rylie runs away. She doesn't get far. It's a full moon, and she isn't alone in the forest. She wakes up unharmed in her cabin the next morning with no memory of what happened. The only sign something has changed are the healed scars on her chest, her increasingly keen senses, and her sudden craving for raw, bloody meat. A boy from the other camp seems to know what's happening to her, but Rylie isn't sure if she can trust herself with Seth. He's way too cute and he knows way too much. Rylie soon learns that she only has until the end of summer before she becomes just like the monster that attacked her: a man-eating werewolf hungry for human flesh. Unless she can find a cure, she's going to transforming at the end of the summer and lose her life to the hunger. Don't miss E.J. 's review of Six Moon Summer here. Thank you S.M. for joining us here today at From the Shadows! To learn more about S.M. Reine and her books, please visit her website. Wow..sounds great! I've never read about were's eating humans so that's a change for me. Thanks so much for doing a great interview, EJ! I'll pop on throughout the day to check the comments if anybody has any questions. :) So feel free to ask me anything! I really love the sound of Six Moon Summer. If you have the opportunity to write with anyone who would it be? BLHmistress, I would love to write with Edgar Allan Poe (when he was alive, preferably). The man was brilliant. Drunk, but brilliant. I'd be curious to see his process and pick his inebriated brain. I mean, he invented detective fiction! You can't invent an entire genre without having some special gears turning in your brain.